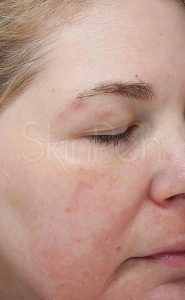 SkinPen, the first FDA cleared microneedling, also known as collagen induction therapy, is a chemical-free, non-surgical way to improve the appearance of scars, fine lines, enlarged pores, stretch marks, and sun damage while boosting collagen. It may even increase hair growth on your head. 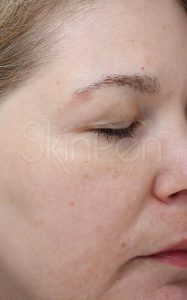 As the name implies, microneedling uses very, very tiny needles to make thousands of pinprick punctures in your skin. These pricks encourage your body to go into “repair mode,” making new healthy skin and collagen. Because it doesn’t involve heat, it’s a good option for people of all skin tones, as long as you don’t have active skin infections, such as cold sores. If you are pregnant, ask your doctor about microneedling. It may be an option to help tackle stretch marks. It is not for patients with a history of keloid scarring, or who have been treated with Accutane or another isotretinoin in the past three months, or who have received radiation treatments on the area in the past year. Microneedling is not overly painful and doesn’t require any downtime. For more invasive treatments, patients may be offered a topical numbing cream. Most patients require three to four treatments, spaced about four weeks apart, with maintenance treatments every six to twelve months. Your skin may appear sunburned and slightly itchy for a few hours to a few days following treatment. (If these symptoms persist longer than that, let your doctor know!) Don’t scratch, and keep the area well moisturized and protected from the sun. But don’t apply sunscreen or makeup directly after treatment! Wait at least a few hours—and maybe even 24 hours—before putting even mineral makeup or sunscreen on your face. Avoid Advil, aspirin, alcohol, and other blood thinners prior to treatment, and avoid working out and swimming pools for three days after treatment. The former is to prevent bruising and excessive bleeding; the latter is to prevent infection. You’ll see glowing, refreshed skin immediately after the first treatment and better skin texture in about a month. It may take multiple sessions and several months (to give your skin time to heal) before you see improvement with more entrenched issues, such as scarring and wrinkles. How does it work for hair loss? Microneedling can be helpful for male and female patients with alopecia (an autoimmune disorder resulting in hair loss), as well as more common male and female pattern baldness. The same “repair mode” that makes new skin grow also encourages stem cell activity, better circulation, release of a platelet-derived growth factor, and because of that, the growth of new hair. However, the most dramatic effects have been seen in patients who were also treated with a topical medication called Minoxidil. You may see significant new hair growth in 12 weeks.